Everything started in December 1982, the year the band likes to call 17 B.D. SEIKIMA-II was founded by guitarist Damian Hamada, Prince Of Hell, vocalist H.E. Demon Kogure, Demon Pope, and bassist Zod Hojishima, responsible for Interrogation. When written in kanji, the meaning of the word ‘seikima’ means ‘holy hungry demon’, but when pronouncing the II at the end in English, it became ‘seikimatsu’ which means ‘End of the Century’. When looking at the professions they named themselves as, such as Demon Pope and their unique computation of time, one can see that the group used both interpretations of their band name. Drummer Zeed Iijima, Bodyguard of the Prince, and keyboard player Ryo-ko, Witch, joined in 1983. However, Ryo-ko left the band that same year. The group then debuted with four members and performed several concerts. Their first concert was held on March 23, 1983. From this concert on, their concerts were referred to as ‘Black Masses.’ A year later, a second guitarist named Giantonio Babayashi was added to SEIKIMA-II, but he did not stay for too long either. The year 1985 was an important year for the band. In September they released their first album, Akuma ga kitarite heavy metal. This album was the first album by a Japanese black metal band to sell over 100,000 copies. It was also the year of their biggest line-up changes. After Giantonio had decided to leave the band, founder Damian soon followed. With this significant change, Demon took over as leader of the band. They were replaced by guitarists Ace Shimizu, Boss of the CIA in Hell, and Gandhara Sbguelia Tigris-Euphrates Kaneko, but this formation also did not last very long. When Zeed quit, Gandhara followed, so they had to find a new guitarist once again and a new drummer on top of that. Guitarist Jail O’Hashi, Boss Of Punishment, and drummer Raiden Yuzawa, Minister of General Affairs, quickly occupied those positions, but even then the band’s infamous merry-go-round type of line-up changes did not stop. In 1986, original member Zod left the band after they had released their first two singles as well as the next two albums. A year later, Jail also quit thus forming the final line-up when bassist Xenon Ishikawa, Culture Minister Of Hell, and guitarist Sgt. Luke Takamura III, Consultant Of The General Staff Of Hell, joined. Appropriately enough, the album that was released that year was called Big Time Changes. With this final lineup the group was able to express their creativity without limitation, since they now, at last, had a steady member lineup. This led to the band producing a lot of new material. The major labels had started paying attention to them and SEIKIMA-II were soon able to snap up a major record deal in 1988. THE OUTER MISSION was the first album of theirs to be released in CD format rather than as an LP. Their next album, WORST, was their first album to top the Oricon charts making it all the way to number one. At the end of the year they were even able to perform on “Kohaku,” a famous New Years Japanese television show in Japan. SEIKIMA-II’s fame increased steadily from then on, and it was only a matter of time before they performed their first concerts overseas. They played various concerts throughout Asia with the exception of China, whose government refused to grant visas because of their eccentric costumes. The band itself did not care much for things like that, though, and went ahead to perform live concerts in European cities like London. They recorded their experience with cameras, so that their Japanese fans would be able to watch them making fun of English policemen later on. Despite some short breaks, notably during the period from 1993 to 1995, they always managed to re-appear even more successfully. Around 1992, their keyboard support Yuichi Matsuzaki, The Confuser, left, but re-joined two years later. During his absence, Wrector H. Earl played in his stead. A big wave of releases came up in the middle of the 90s, reaching its peak in 1999. The band, in-keeping with their mythology and the ‘prophecy’ parted ways at the end of 1999. They officially broke up on December 12th, 1999 at 23:59:59, although this did not keep them from performing a small number of unofficial concerts and appearing at a variety of shows. Since then, Demon has been active as a solo artist. He still wears the same make-up as he did while he was in SEIKIMA-II. Jail is the only one of the former members who left the band before disbandment to remain active in the music scene. He founded the band Cats in Boots under the name Takashi O’hashi in the US around 1989. In 1997 he came back and was active in the group The Outsiders for several years. Luke worked as a support for MIYAVI for a short time before he started the band CANTA together with Raiden. Ace started the band face to ace, who released various CDs since October 2001. Xenon has been with the band RX since SEIKIMA-II’s disbanding. In 2005, to celebrate their 20th anniversary as a band, they reunited for six months. At these reunion lives, even ex-band members appeared on stage except for original member Ace and ex-support member Kaijin. 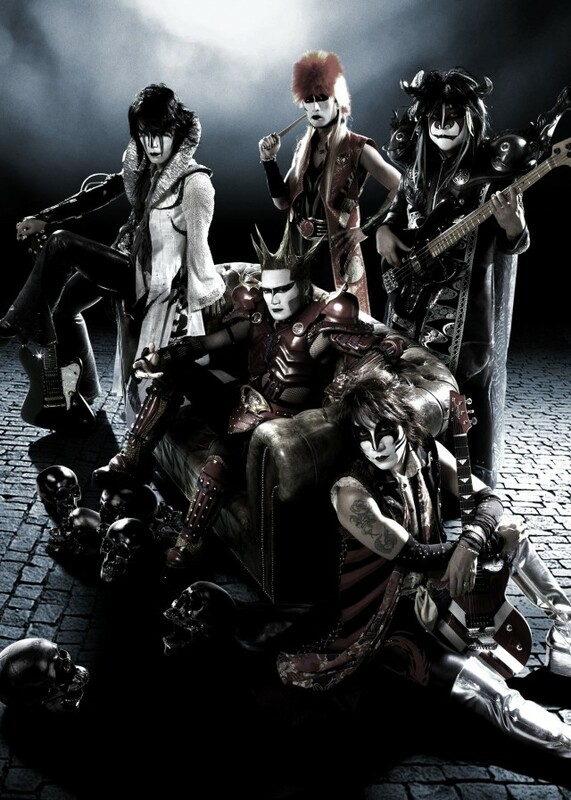 During this time they had new songs for download, completed a sixteen-date tour and released five live albums. In July 2009, the band was able to release a large collection of their work on iTunes; their music being made available to fans around the world. A best of album was also released in September 2009, containing thirteen songs recorded in full English. That same year, Demon Kogure officially changed his name to Demon Kakka. In 2010, SEIKIMA-II plans a special comeback to celebrate their 25th anniversary. They announced tours in North America, Europe and parts of Asia as well as a Japanese nation-wide tour. Their first performance was A-Kon, an anime convention in Texas that took place in early June. This time the lineup includes Demon, Luke, Xenon, Raiden and Jail.